Psychological pricing is one of a number of marketing pricing strategies you can use for your products or services. To build effective pricing tactics, you need to understand your customer, your competition and your marketplace. You also need to understand 'what is price elasticity' and how price affects your sales plan to build an effective strategy for your business. Many businesses use a psychological tactic in pricing their product or service; sometimes unknowingly. It's an effective strategy because often buyers use price as one measurement of quality: to buyers, high price equals high quality or high value, and low price equals low value. When buyers have much more information on which to make a decision on perceived value or quality, price moves down the ranking scale as a determiner of value. When developing your small business sales plan, you need to consider pricing as an element of your marketing mix. It can help you gain or lose sales and/or profit. If you use the right pricing strategy for your product and for the market, and support that strategy with strong promotional and placement/distribution programs, you can increase sales and grow your business. But if you pick the wrong pricing strategy, it can be a costly mistake. Are Psychological Pricing Tactics a Best Fit for Your Business? This strategy uses the psychology of price and the product positioning in the market. For example: in the real estate market, properties are often priced at uneven dollars - $239,000 instead of $240,000. The psychology of that pricing is that buyers will recognize the $239,000 price as being much better (even though it's only $1000 less) than $240,000. Another example, in the luxury car segment. An increase in price resulted in an increase in sales because buyers tied the price increase to a value. Psychological pricing can be ego-centric pricing. And another example of where a strong brand identity can have a psychological influence on buyers: a strong department store brand such as Harrods in London, England can use a psychology as a self-image influencer on price. Buyers believe the intangible aspects of the brand are worth a higher price. This strategy is focused on the ego and self image of buyers - this sounds negative; it's not intended that way, it's simply a realistic assessment of why and when this price strategy can work. If the product or service has some ego-sensitivity for the buyers and for the market as a whole, this price strategy will be successful. This pricing strategy also considers that buyers are used to uneven (non-rounded) dollar pricing and that consumers feel they are getting a 'deal' when this type of pricing is used. It is still a very common pricing strategy in consumer markets but is not used as often in markets focused on business to business selling. The best approach to using this strategy would be to test it; have one product priced at an uneven price and another, similar product at a rounded-to-the-nearest-10 price. When developing pricing strategies you also need to consider the price elasticity of demand: if price goes up, will sales go down; will sales stay the same; or will sales go up (if buyers equate price with value, sales might go up). Pricing strategies will not sell your product or service (building a strong sales rapport or relationship with your customer will help you sell) but they will help to support your selling strategies. Pricing decisions need to include thorough competitive intelligence and research and a strong understanding of the market. Psychological pricing might be the best fit for your small business but make sure you test that decision before you make it. 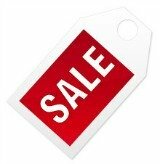 Return from Psychological Pricing to Pricing Strategy for a number of other pricing techniques to review. Find alternatives to standard Pricing Methods. For more on pricing policies, consider other Pricing Strategies. Understand the differences between Promotional Pricing, Loss Leader, and Value Pricing.